Ever in need to keep the sun out of your face when relaxing on a balcony on fine summer day? Or keep the rain from soaking you as you try to get to your parked car? Looking for a quick shelter without spending time and money on building a concrete roof? 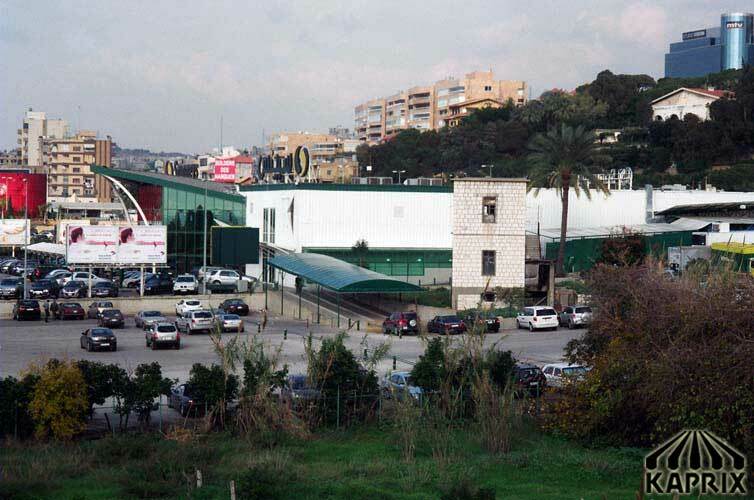 Pioneering in the manufacture of awnings and large tents Karprix provides you with the finest quality products to help keep you cool and dry in any whether. 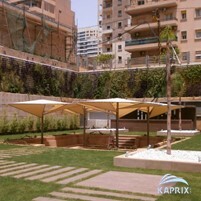 Awnings, canopies and large tents acts as an efficient alternative to concrete roofs and provide the best shelter. They primarily act as a shield to keep out unfavourable weather conditions. They help keep your indoor temperatures low and helps keep out rain and snow. Hence they are made to last in any weather condition, be it warm and dry or cold and wet. 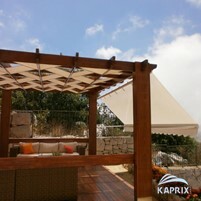 Kaprix awnings are made with materials of the finest quality. It help keep the sweltering heat of the sun out and reduce internal temperatures. Provide a respite for your air conditioners, increasing efficiency and reducing your energy bill. Keep the rain and snow of your front door and windows and anywhere else with materials build to keep out the water. Awnings of different materials and sizes are made for different purposes to match your needs. 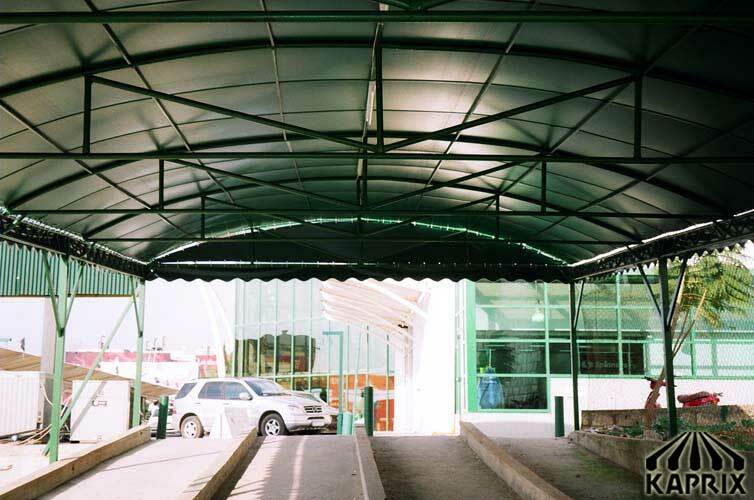 In the case of larger building, shops offices and so forth, canopies help to provide shelter to you parking lots and keeps the cars cool even on hot summer days and dry during heavy rains. These canopies also help keep your wood window frames safe from rain and snow. Large tents are also available and can be used for gatherings of all kinds, from parties to weddings, and help provide a great atmosphere at all times. These can be quickly removed and reassembled if necessary unlike a more costly permanent establishment. But it is not just efficiency we go also for style. 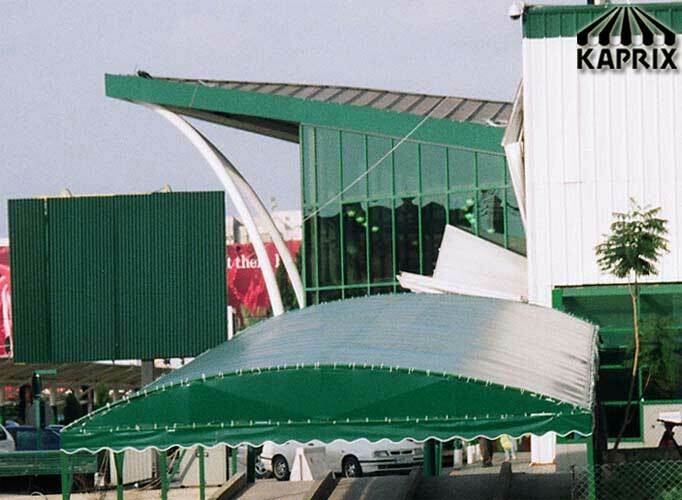 Kaprix awnings comes in many different colours and shapes and helps maintain a sense of style to your homes shops and other establishments. Pick and choose between a variety of colours and designs to help match your establishments. 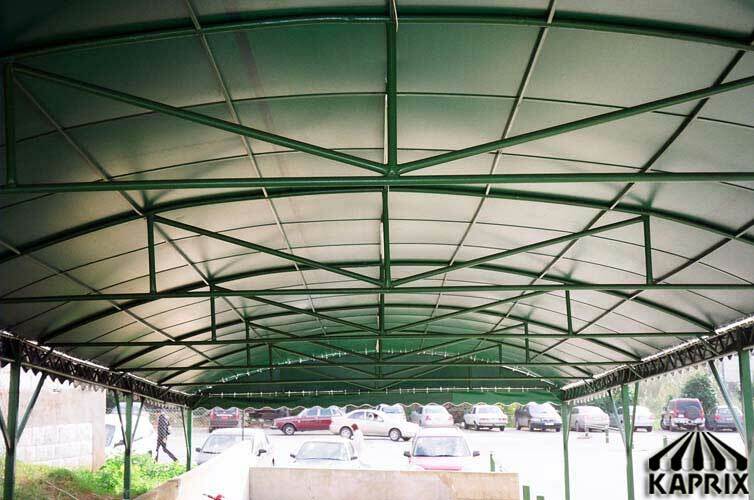 With the ability to quickly assemble and reassemble at will, these alternative shelters can be easily used to provide a sense of style your house, offices or shops etc. 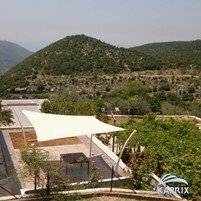 Browse through the pictures provided and get yourself the Kaprix awnings and tents for all your sheltering needs.